Is a Wet Cat Nose Normal — Or a Cause for Concern? A wet cat nose could signal simple changes due to grooming, drinking or environmental changes — or something more serious like feline herpesvirus. Cute little cat noses — who doesn’t love ‘em? Nothing can feel sweeter than a kitty rubbing his face against you, nose first. Like humans, some of the cats’ bodily functions may vary by individual. This is true of the feline nose. 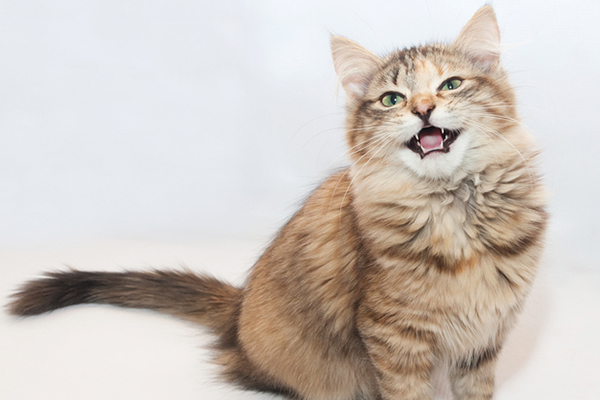 Some people think an excessively dry or wet cat nose indicates illness — but this is a myth. You see, some cats have naturally drier noses than others, and most cats’ nose temperatures and moisture levels vary throughout the day. As a result, one of the best ways for us humans to decide whether or not to worry is to know what “state of the nose” is normal for our kitties. Why are cats’ noses wet? What is that wet cat nose trying to tell you? Photography ©1001slide | Getty Images. The skin around the nostril openings is called the rhinarium, and the sweat glands on the rhinarium create moisture. The interior tear duct also creates drainage that contributes to a wet nose. Humans sweat in order to regulate our body temperature and a cat can use his nose’s moisture — through evaporation — to achieve the same result. Cats are fastidious groomers and, by licking, automatically add a layer of moisture to the nose. Saliva may dry quickly, but it is one of the reasons behind a wet cat nose. A wet cat nose may also occur due to something else simple — the water bowl. A still bowl of clean, clear water may cause some cats difficulty in determining the depth of the liquid. While going for that drink, kitty may inadvertently dip his snout into the bowl, leaving him with a telltale wet nose. 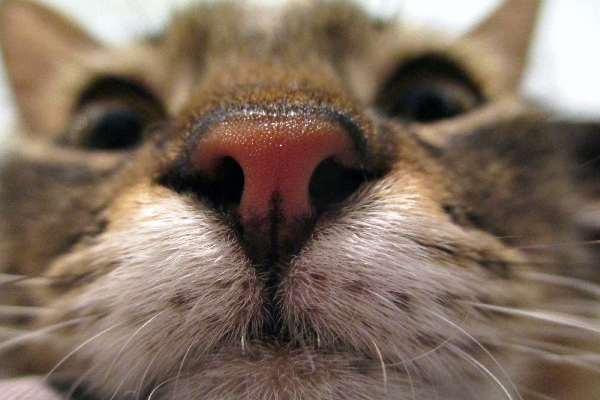 A dry cat nose is just as common as a wet cat nose, and is usually no cause for alarm. If a cat spends a large chunk of time in direct sunlight, a dry nose might result. This happens to us humans while sunbathing our skin as well! A dry cat nose can also pop up if a cat spends a lot of time near a non-solar heat source like a fireplace or a heating vent. What else could affect a wet cat nose vs. a dry cat nose? A nose’s moisture levels are additionally affected by the level of humidity in the air. This is especially true during the winter months in many locations. When is a wet cat nose a cause for concern, and how do we treat it? Is it a wet nose — or a runny nose? 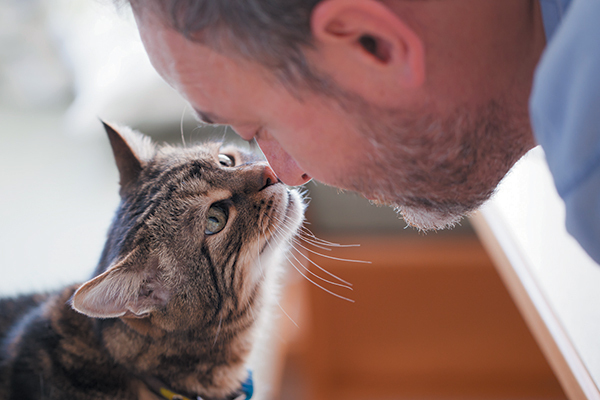 A runny nose, unlike a wet cat nose, can be a cause for concern and should checked out by a veterinarian to rule out illnesses like upper respiratory infections (URIs). A variety of bacterial and viral infections can cause URIs, including feline herpesvirus and feline chlamydia bacteria. A runny nose could also signal an allergy and, with a thorough discussion of symptoms and daily surroundings with a veterinarian, could result from simple changes in food, litter or other environmental factors. Again, a healthy cat nose usually shifts between states of moisture and dryness throughout the day. It’s important to be aware of your cat’s “normals” to be on top of any deviations — whether we’re talking a wet cat nose or anything else. A sudden change in moisture levels, with accompanying symptoms, could indicate illness, and a vet should investigate. Thumbnail: Photography © Sparkle | iStock / Getty Images. Angie Bailey, an award-winning writer, podcaster, and humorist, is the author of Texts from Mittens and Whiskerslist: The Kitty Classifieds. She’s written cat humor for over a decade, and lives in Minneapolis with her fiancé and two cats — Phoebe, a sassy senior and Janet, a teenage kitty with tons of tortitude.